Which started out bright and happy with a beautiful sunny day!!! In the morning I taught my Wonky Irish Chain class. 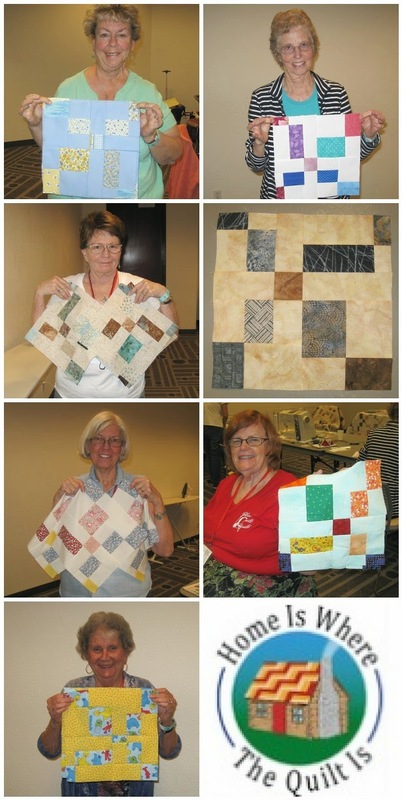 The ladies in my class were so much fun ;) We had so much fun sewing and so much fun chatting as well ;) They all did a great job and got a lot of progress made on their quilts. One gal almost finished all of her blocks for the baby quilt, in just 3 hours!!! And then before you knew it, was nearly time to start the next class ;) Now we all know quilting classes never finish when they are scheduled to, you have to keep sewing until you are at a good stopping point, right ;) So it turned out that one class was packing up as then next class was coming in ;) So fun!!! The next class was my In Your Neighborhood class. This is such a fun quilt to make. 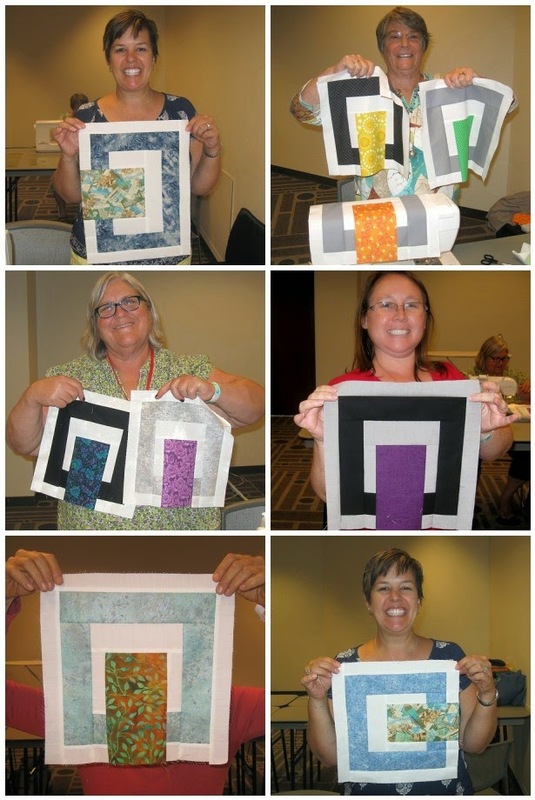 I just love seeing the fabrics that everyone chooses for their big print blocks ;) And once again, we sewed and chatted and sewed and chatted and had just such a lovely time. And before you knew it, class was over. I am always a little sad when they end. Sure you are tired, but they are just so much fun :) I could sew all day with such amazing ladies ;) After cleaning up Barbara and I headed over to the quilt show. There were some incredible quilts but of course, I forgot to take my camera with me. What ya gonna do. Thanks for stopping in today and each day with me. You guys are the best!!! It sounds like a great time. I love the quilt under your birthday goodies! Such a cute idea. Happy birthday to you little girl!!!! That indeed is a pretty table top. How fun! I bet it was a blast to be in your group. Jealous of those ladies and their awesome blocks!